The district attorney in Pittsburgh says he disagrees with a jury’s decision to acquit a former police officer in the fatal shooting of an unarmed black teenager as he ran from a car involved just minutes earlier in a drive-by shooting. Rosfeld’s lawyer called him “a good man.” During the trial he said the officer feared for his life and had to make a split-second decision. Zappala said that in the interest of justice, he’ll continue to bring charges where charges are appropriate. Antwon Rose II’s sister had tears streaming down her face after the jury cleared former East Pittsburgh Police Officer Michael Rosfeld of a homicide charge late Friday. Her mother urged her not to cry. 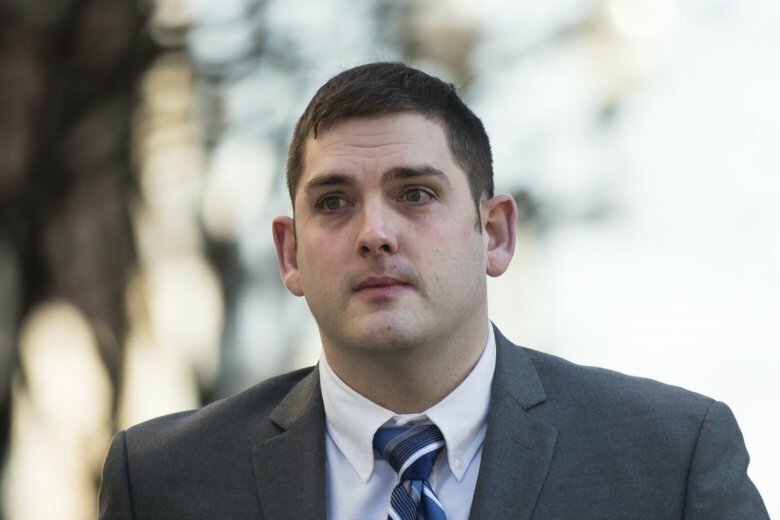 A prosecutor says former East Pittsburgh Police Officer Michael Rosfeld acted as “judge, jury and executioner” when he killed 17-year-old Antwon Rose II. Assistant District Attorney Jonathan Fodi tells jurors that Rose didn’t deserve to die. A prosecutor says former East Pittsburgh Police Officer Michael Rosfeld acted as “judge, jury and executioner” when he killed 17-year-old Antwon Rose II. Assistant District Attorney Jonathan Fodi said Friday that Rose didn’t deserve to die. An attorney for the family of Antwon Rose II says a jury should conclude that the unarmed black teenager was “murdered” by a white police officer last summer. Merritt says “it’s pretty obvious” Rose was not a threat to Rosfeld. Judge Alexander Bicket lifted the gag order he imposed on parties in the case Friday at the request of the defense. Defense attorney Patrick Thomassey says while he and prosecutors have abided by the judge’s order, the attorney for Antwon Rose II’s family has made comments to the media. Retired Pennsylvania State Police Trooper Clifford W. Jobe Jr. testified for the defense at the homicide trial of former East Pittsburgh Police Officer Michael Rosfeld, who’s charged with gunning down 17-year-old Antwon Rose II.